Bamboo can be revived by applying commonly available clear, uncolored wax. 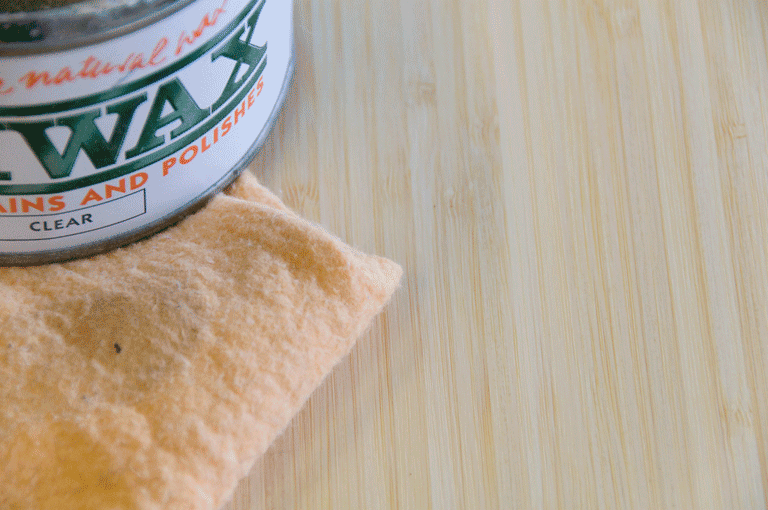 Apply a small amount of wax onto the bamboo with a soft towel and let dry. Wipe and polish with a dry soft towel (without wax) and the shine of the bamboo will come back readily.